Welcome to the Napa Valley of the Midwest. 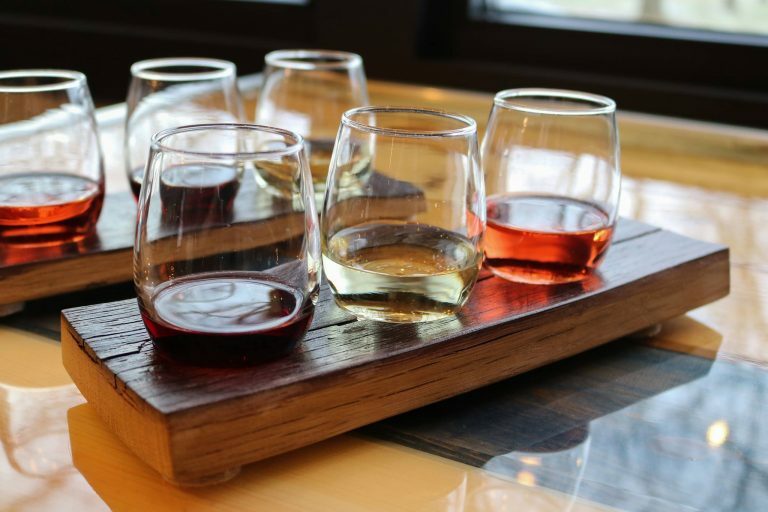 Raise your glass to Southwestern Michigan’s award winning wineries and drink in the wondrous art form of wine making. Choose one of our highly rated wine tours below or book one of our shuttle buses to design your own private Winery or Brewery tour. Either way, we are here to make your experience a memorable one. 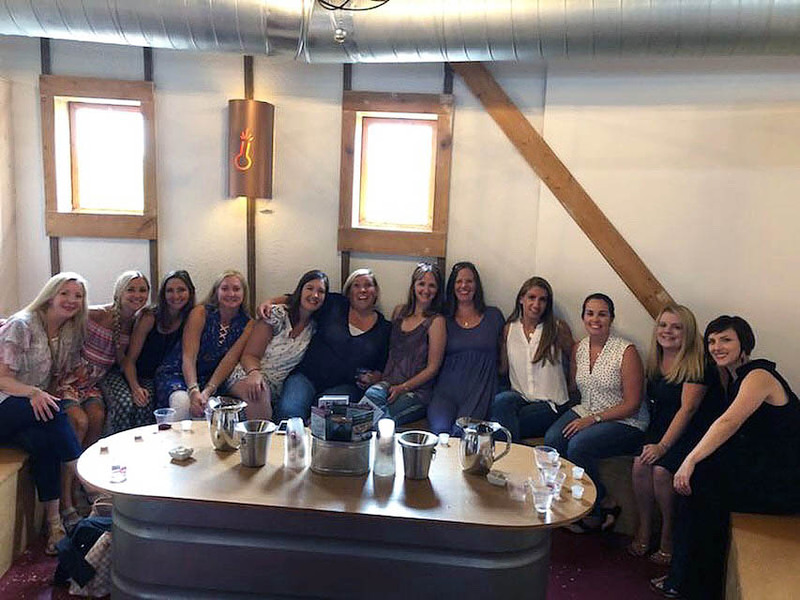 The Five Hour Tour is perfect for couples or small groups of friends that enjoy a variety of wineries, a casual atmospheres, and a relaxed pace. Lunch, tips and tasting fees are all included – just book your seat and come along for the ride! The Six Hour Tour is ideal for couples or small groups of friends that enjoy exclusive tasting arrangements, wine education, and personalized attention. Lunch, tips and tasting fees are all included! 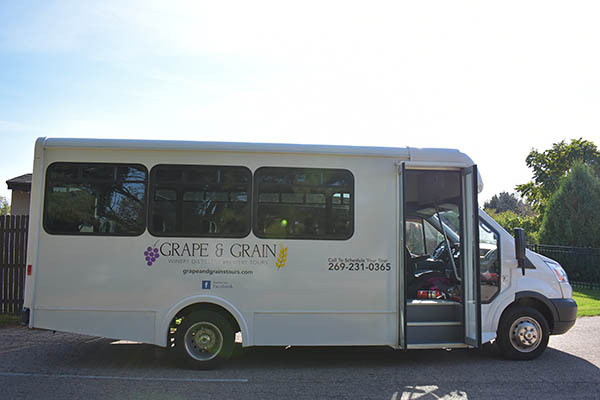 Private Shuttles are popular for large groups of bachelor & bachelorette parties, birthday rides, company outings, and personalized itineraries for those who want to do brewery, winery and/or distillery destinations at your own pace. All Grape & Grain Tour exclusive upgrades are included! “We went to the Sunday Funday for my husbands 40th birthday party. It exceeded our expectations in every way. We went to a distillery called Journeyman’s, which had an amazing atmosphere, and delicious drinks; another highlight, was the ever popular Round Barn. All of the stops were super fun and had their own story. I highly recommend using this company if you want a great time and to be treated like a friend. Thanks Kimberly!